Billion Dollar Hedge Fund Iridian Asset Management Loves These Five Stocks. Should You? David Cohen and Harold Levy, a duo of special situation investors with a focus on depressed stocks that go through significant changes, founded Iridian Asset Management in 1996. Because of in-depth research and solid risk management, Iridian has grown from humble beginnings to have assets under management of around $12.7 billion as of the end of the third quarter. Given that Iridian recently filed its 13F for the September quarter, let’s examine the fund’s top stock picks of W. R. Grace & Co (NYSE:GRA), Sealed Air Corp (NYSE:SEE), Lowe’s Companies, Inc. (NYSE:LOW), Valeant Pharmaceuticals Intl Inc (NYSE:VRX) and Delta Air Lines, Inc. (NYSE:DAL) and see how Iridian has been trading them and what these stocks may have to offer retail investors. Most investors don’t understand hedge funds and indicators that are based on hedge funds’ activities. They ignore hedge funds because of their recent poor performance in the bull market. Our research indicates that hedge funds underperformed because they aren’t 100% long. Hedge fund fees are also very large compared to the returns generated and they reduce the net returns experienced by investors. We uncovered that hedge funds’ long positions actually outperformed the market. For instance the 15 most popular small-cap stocks among funds beat the S&P 500 Index by 53 percentage points since the end of August 2012. These stocks returned a cumulative of 102% vs. a 48.7% gain for the S&P 500 Index (see the details here). That’s why we believe investors should pay attention to what hedge funds are buying (rather than what their net returns are). Shares of Valeant Pharmaceuticals Intl Inc (NYSE:VRX) have been extremely volatile, as investors worry about the company’s relationship with the specialty pharmacy Philidor and the extent to which potential drug price regulations will negatively affect the company’s future growth prospects. Some analysts are optimistic, however, such as Mizuho’s Irina Koffler, who thinks Valeant will still be worth around $100 per share in a liquidation scenario, a level it has now fallen well below. 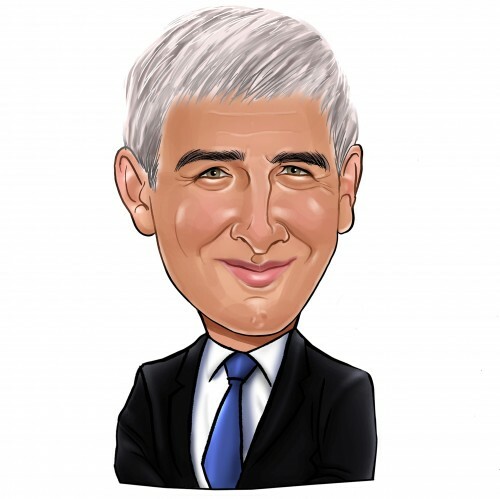 Bill Ackman is also optimistic, as his fund, Pershing Square recently added another 2 million shares to its previous holding of 19.47 million shares held at the end of June. Iridian, meanwhile, cut its holding in the stock by 8% quarter-over-quarter. Shares of Lowe’s Companies, Inc. (NYSE:LOW) are up by 7.88% year-to-date on the back of the strong economy and red-hot housing market. With the U.S unemployment rate recently falling to 5%, more consumers will have credit to renovate their existing homes, which will mean more demand for home improvement chains such as Lowe’s. Meanwhile, Lowe’s trades at a reasonable forward PE of 18.5. Stephen Mandel‘s Lone Pine Capital owned 7.05 million shares of Lowe’s at the end of June. Iridian’s top three stock choices heading into the fourth quarter are sized up on the next page.